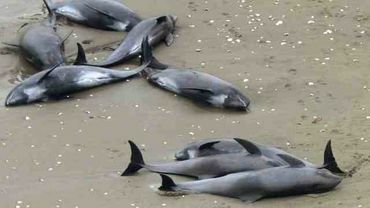 Nearly 150 melon-headed whales, a species of dolphin, have become stranded on a beach in Japan. breaks my heart. You can bet man is behind all of this. I wonder why...I hope the tide is coming in not going out. Kudos on the people who are out there trying to help! I so agree with you Dianne!